Hello ladies! 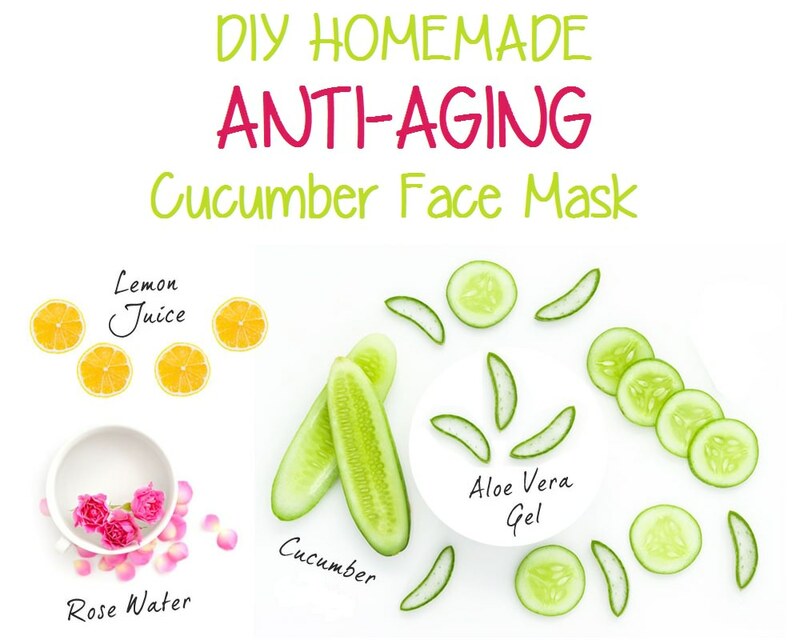 Hope you are fine today I am here to share with you a homemade anti-aging cucumber face mask, it will hydrate and nourish your skin due to its astringent and soothing ingredients. This mask also beneficial for those, they have acne-prone and sunburned skin. Cucumber has the trace mineral silica properties, which helps to rejuvenate your skin and strengthens the skin tissues to help maintain the elasticity and fight wrinkles. The main ingredients of this anti-aging mask is cucumber, which is the good source of vitamin C and other antioxidants that helps to maintain clear, glowing and younger looking skin. It also includes aloe vera juice, lemon juice and rose water. These ingredients are also incredible for your skin due to their antioxidant and skin tightening properties. This homemade anti-aging face mask helps to reduce age spots, large pores, dark circles, and provide youthful glow to your skin. 1. Peel the half piece of cucumber. 3. Put cucumber pieces into a blender. 5. Add 1/2 teaspoon of fresh lemon juice. 6. Add 1/2 teaspoon of rose water. 7. Now blend the mixture for couple of minutes. 8. Your cucumber face mask is ready. 1. First you wash the face and neck, and pat dry. 2. Apply this anti-aging mask on your face and neck. 4. Wash it and splash cold water on your face. 5. Follow the process once or twice a week on a regular basis. Note: People those have sensitive skin, cannot apply this mask due to its astringent quality. If you have not blender, you can use a fork to mash cucumber pieces. You can add 1 teaspoon of organic honey in this recipe to make it more moisturizing. Also eat cucumbers to maintain healthy and younger looking skin. Also, check out home remedies for sunburn skin here at @BeautyEnhancers.